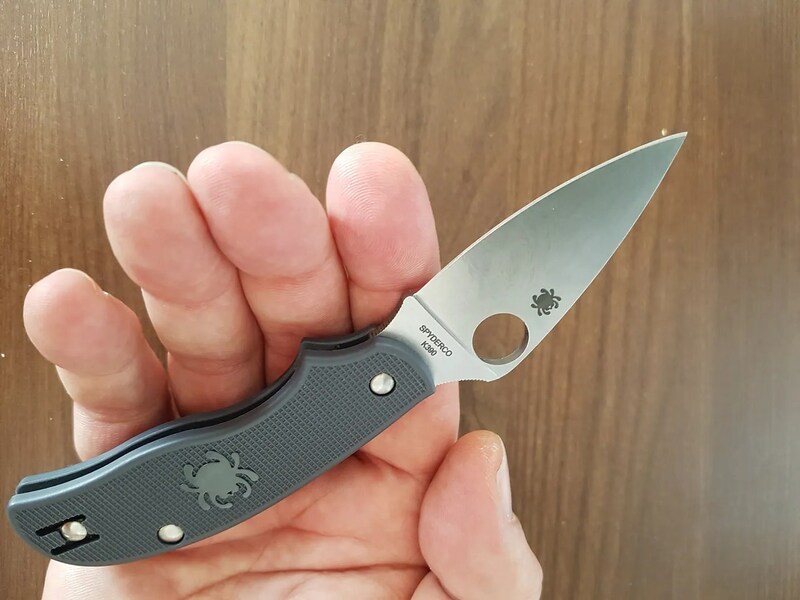 Spyderco C127PGY Urban K390 – Lil’Grey Alien armed with Hyper Steel. Mostly knives company gives the best steel to there flagship models but again Spyderco create the surprise in bringing a 1200 pieces sprintrun of their lightweight Urban slipjoint folder with the best of the best of the cold tool steel: the Austrian Swedish-made Bohler K390. Phil Wilson has been using it and he’s known for getting the best of super steels. “I have been using K390 from the start ever since it was introduced by Bohler and I got some small samples to try. A bit of history is that it is the European version of CPM 10V but not the exact chemistry (about 1% less V plus small addition of a few others). That is because the CPM 10V chemistry was protected by patent at the time. If you check the K390 data sheet it claims that the bit less V gives K 390 a little boost in impact toughness. It also can be heat treated at a lower temp. than 10v. So it is pretty much the same as the A11 grade but different in a few small details. It is hard to tell the difference between CPM 10v and BU K390 in the real world in my experience. I like both grades and they are the base line (along with Vanadius 10 and K294) from which I measure wear resistance. The 5 chrome is there to make them all air hardening among other things and does not contribute much to corrosion resistance. It is going to make a killer knife in the new offering and be another classic. 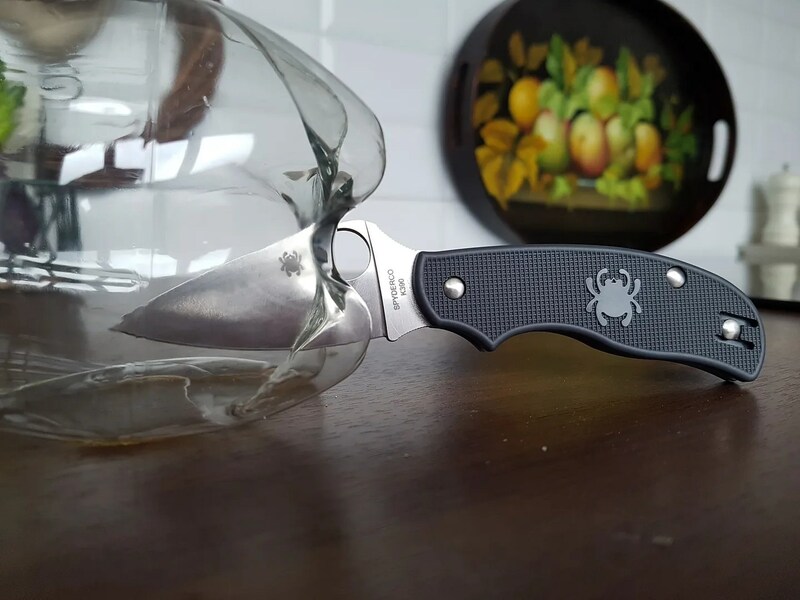 Phil” On the Spyderco forums. So one of the best steel is available on a slipjoint the C127. It’s almost the same cockpit as the Squeak, the blade is a tad under three inches with a full flat ground blade. The backspace is in stainless steel and is used as main spring and the handle are FRN: fiber reinforced nylon. 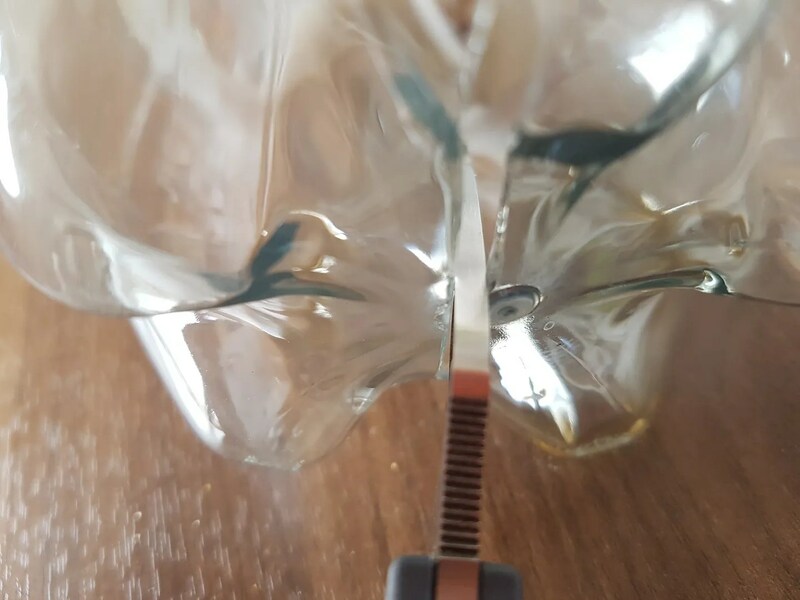 A generous choil gives you security as the blade cannot close on your finger. 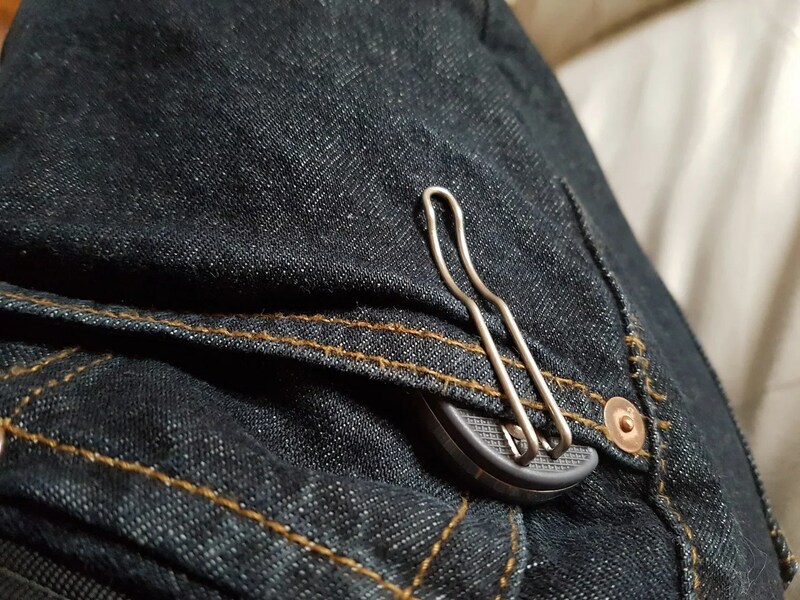 It’s the same idea as on the C36 Military you hold the open folder by the blade so there is less stress on the pivot. The hump and the choil work as the quillons of a boot dagger. It means also you can give a lot of power into your cuts. The C127 is modest. This is not the K2. The Urban is a gentleman knife legal in many places. If it was a car, it would not be a Landrover but a Mini. But here the Mini is turned into a mini Cooper with a very powerful prepared engine as the steel is the chore of the knife. Again steel is nothing without a good heat treating and without a great geometry adapted to the steel. And my C127 arrived with a very thin edge. The Maniago naufacturer seems to be very good lately in the way it provide good edges to its blade. Like the Elmax Squeak I was able to cut through the bottle butts with ease and control. 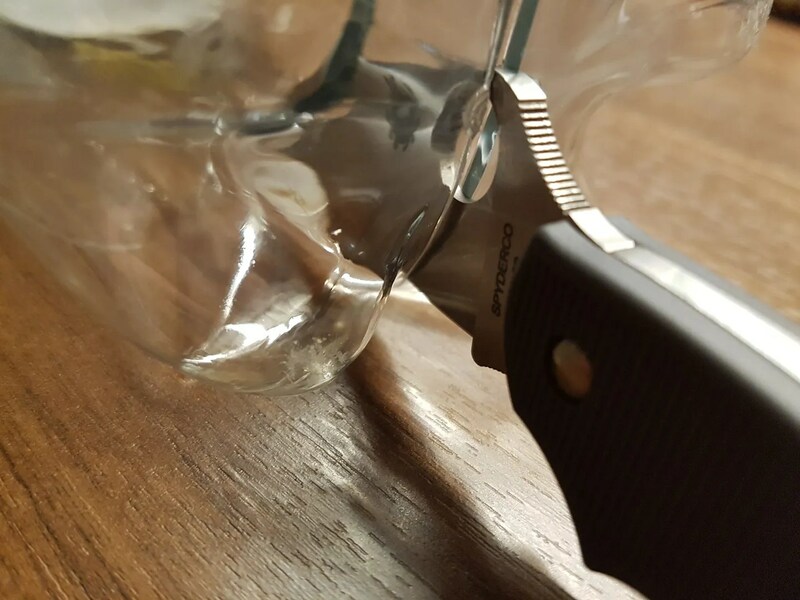 The knife cut precisely with not a great amount of force, this is always a pleasure to fill the thick center crossed without the rest of the bottle to collapse due to too much strenght. Now K390 is not stainless and it suppose to develop a patina. This is good news as it will gives to the knife a lot of character by turning it full grey ! It’s not the first time that Spyderco equipped his FRN knives with the best exotic super duper steel. It was the case with CPM110V on the Blue Manix 2 FRN and the Blue Native FRN . K390 is going also on another flagship: it will equiped the 4th edition of the Police Model. I had the chance to handle it yesterday at the Minimeet and this is going to be a great big folder with a lot of cutting power (Full flat ground large blade) on a sturdy construction (I just regret the did not bring the Power Lock on the Police model, but this is just me…). For my European fellow have found easily the knife for 77 euros shipping included. You can use the search functions and do your math and have the chance to try K390 on a very low profile plateform. I have since mounted Cuscadi Carbon Fibers on this little gem. 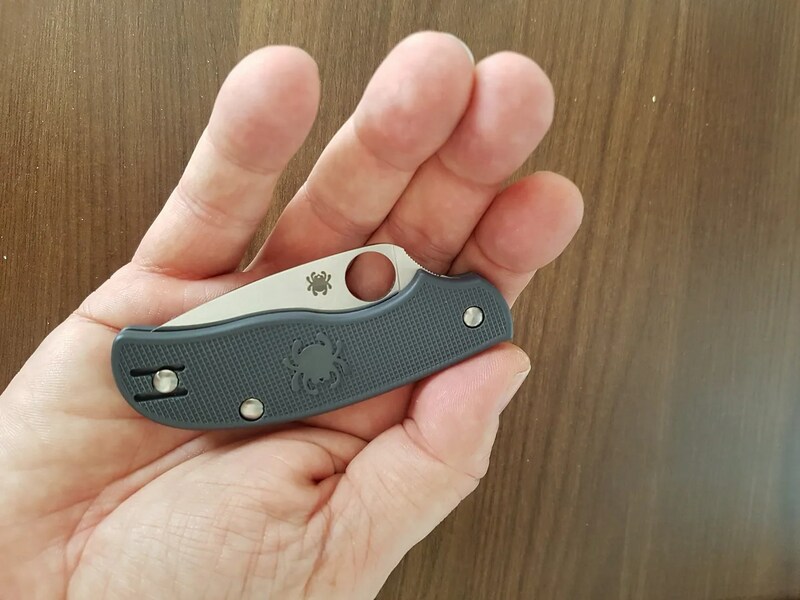 Posted on 27/02/2017 23/11/2017 Author nemosandmanCategories Folders, PhotosTags Bohler, C127PGY, forums, K390, phil wilson, Sal Glesser, Sprintrun, Spyderco, Urban10 Comments on Spyderco C127PGY Urban K390 – Lil’Grey Alien armed with Hyper Steel.